Asian Business School (a part of Asian Education Group) – ranked as one of the best B-schools in Delhi NCR – recently held its annual inter-college cultural fest by the name of AEG ‘KESSHET 2019-Season 6’ on Thursday, 17th January 2019 at its campus in Noida with full fanfare and gusto, all in the filmy style. One of the interesting event activity at this gala celebration was the “Walk the Ramp (Fashion Show)” competition. 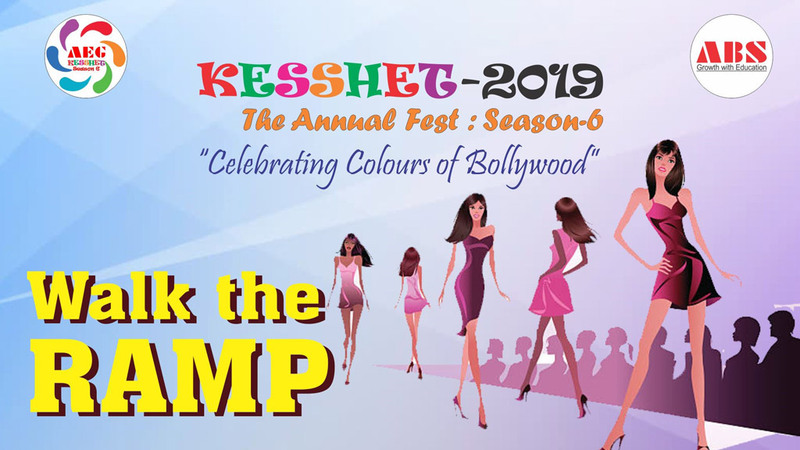 Categorized under Flagship Events, “KESSHET 2019: Season 6” hosted a flamboyant fashion show which showcased the creativity and ingenuity of students in depicting attires in synchronization with the given themes. The activity comprised of the ramp walk with exquisite display of costumes and designs based on the themes like Retro, Indo-Western, Elements of Nature, Ethnic, Halloween, and even Crazy & unconventional theme. The teams were required to select any one theme from the above defined list, and the selection of teams was done on first-come-first-serve basis. While only one team was allowed from a particular college, each team could have a maximum of 15 members. The teams needed to bring all props, costumes, music and accessories etc. that they required for the show. The performance time had been earmarked at 10-15 minutes per team. Marks were to be deducted if a particular team exceeded the allotted time frame. The criteria for the judgment was based on costumes, formations, style, depiction of theme, choice of music, poise and expressions and overall creativity.